The preparation for the festival of Diwali is going on everywhere and Bollywood celebrities are also doing preparation to welcome Goddess Laxmi on their houses. Let us tell you that Bollywood always has tried to make the festival of Diwali to make it better like always. Although, Diwali is a festival of Diyas but it is incomplete with songs. So to make it easy we have brought the best superhit songs and you can make your fun of Diwali more beautiful with these songs. This is one song you will get to listen most of the times during Diwali festival, it is a song sung by children to enjoy the night of love and Diyas. 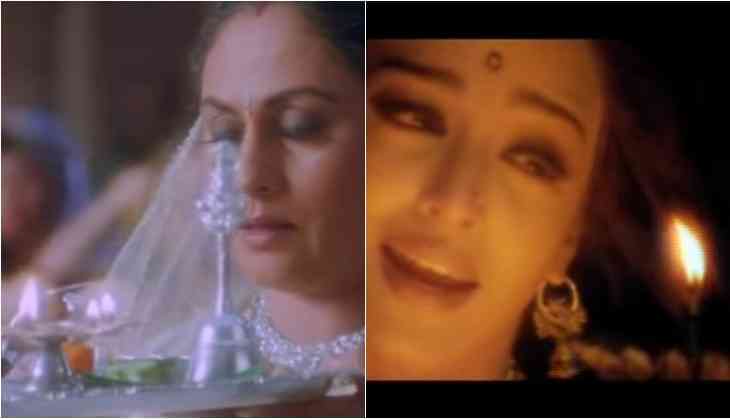 The title track of Kabhi Khushi Kabhie Gham set in the backdrop of Diwali when Raichand family is celebrating the festival and waiting for their elder to arrive. It is also remembered for SRK's entry in the film. Although this song was actually shot taking background of Diwali but it wasa romantic number. In this song, Paro waiting for Devdas to comeback on Diwali festival. This song of the film Aamdani Atthani Kharcha Rupaiya is unique in its own way. It has some Gujarati flavour in the song. SD Burman's this song is pictured on Mehmood who tells the importance of Diwali festival to a child.